A superb Bedroom Chair from the mid 19th century made to the highest quality, having a buttoned back and seat and retaining the original horse hair inners. Raised on ebonised turned legs and retaining the original Cope & Collinson brass cup casters. 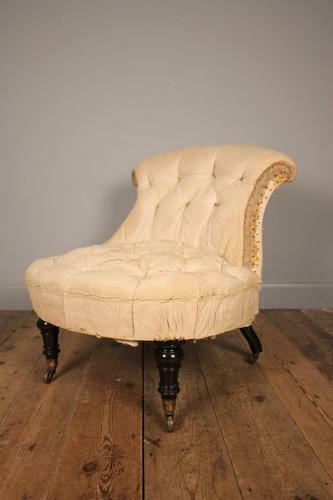 Firm standing and in need of re-upholstery. English, Circa 1850.